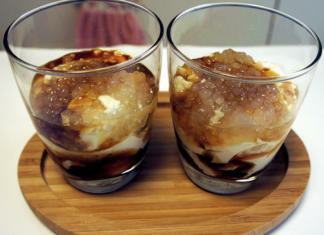 Taho is a sweet comfort food made from soft Tofu, Brown Sugar syrup or Arnibal, and Tapioca pearls or Sago pearls. 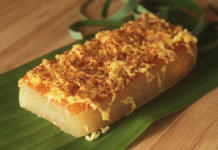 In most Filipino neighborhoods, it is common to hear a loud shouting in the morning saying “Tahooooo!”. These are those vendors trying to attract customers and letting them know of their presence. You’ll see children waiting in front of their houses for the “Magtataho” carrying their own cups. Yes, it is possible to have this in your personal cup and the Vendor will just charge you for the amount of Taho you got. It is normally consumed using a spoon, straw or drank in the cup itself. Taho is very light and soothing for it is served warm. 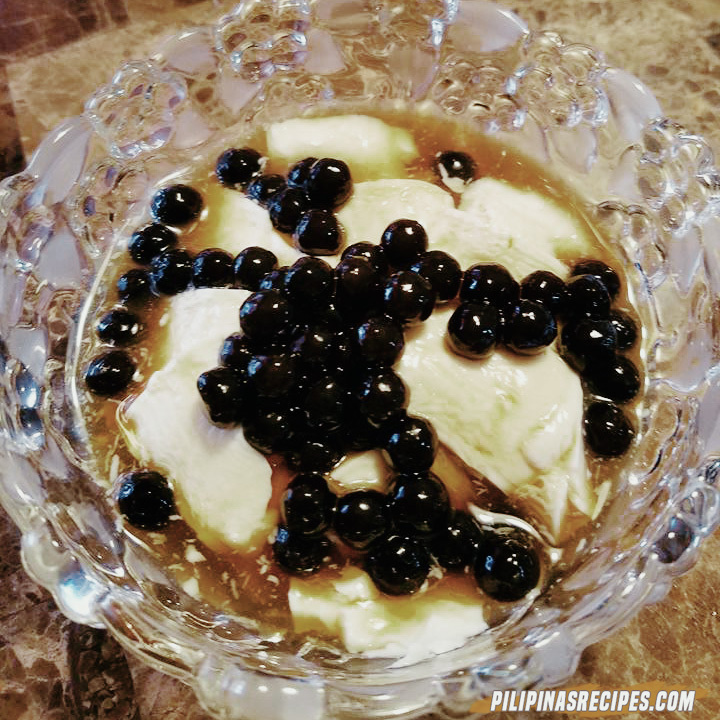 Taho is a sweet comfort food made from soft Tofu, Brown Sugar syrup or Arnibal, and Tapioca pearls or Sago pearls. In most Filipino neighborhoods, it is common to hear a loud shouting in the morning saying “Tahooooo!”. 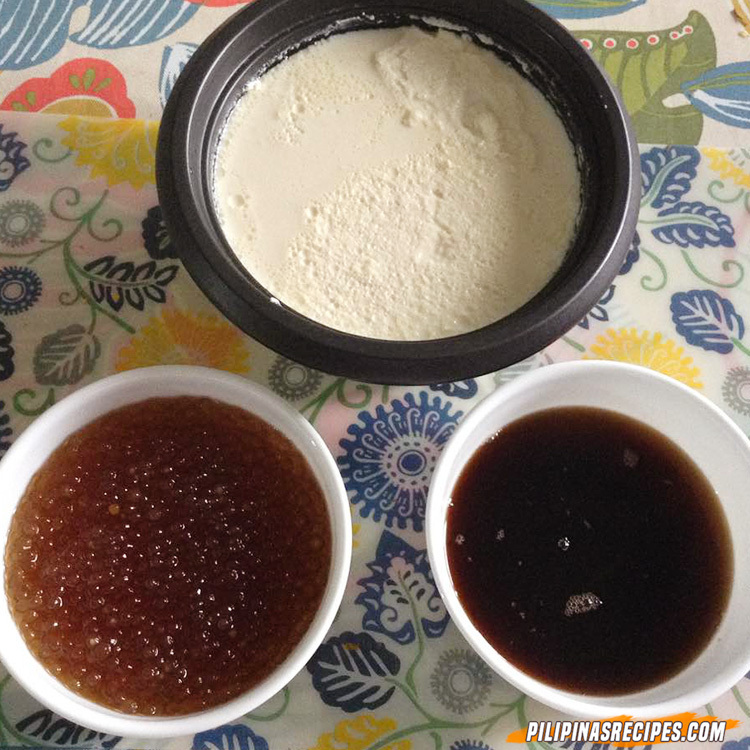 VARIATION: If you want to have another flavor or toppings instead of sago, you can also have nata de coco as shown in the picture above, or scraped coconut, depending on your own preference. Caramelized the brown sugar by mixing the water, sugar and vanilla extract and stir continuously under low heat. Pour the extra soft tofu in a cup and heat it in micro wave oven for 5 minutes or by steaming it in 10 minutes. 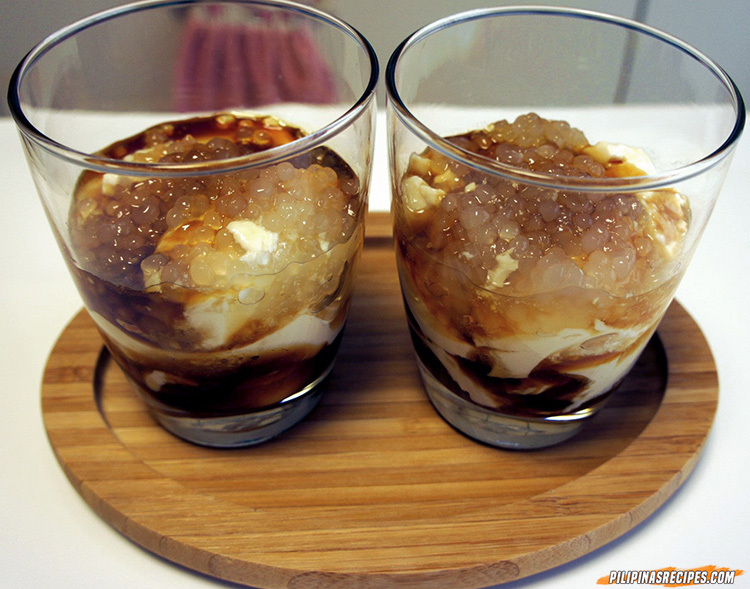 When extra soft tofu is ready, add 2-3 tablespoons of caramelized brown sugar and 2 tablespoons of sago or nata de coco and your Homemade Taho is ready! 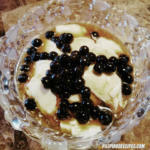 This video shows another recipe for Homemade Taho. 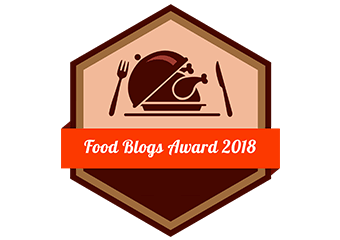 You can set aside in the fridge the extra cooked sago and caramelized sugar so you can make taho anytime you want if you have stocks of extra soft tofu. 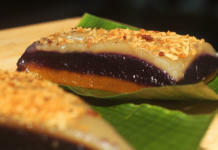 The most difficult part of making this one is probably making the soft Tofu from scratch. When you get your Soy Beans from the market, you need to soak the beans overnight, wash, sort out the bad beans from the good ones, and remove the membrane which covers every bean which is done by hand. What you need to get is the Soymilk from the Soybeans which is pretty similar to making Tofu cubes. The first step is grinding the prepared Soybeans in a blender. Once you get a good blend, sift the soymilk out by using cheesecloth. Run the soymilk over the cheesecloth again to get smoother milk. Once you get the soymilk out, boil it in a pot for 5 to 10 minutes and add in the gulaman or agar to make the Soy milk curd. If you don’t want to make your soft tofu from scratch, you can always use a soft tofu mix from the store. 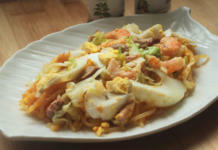 It is easier to prepare and saves a lot of time. When the soft tofu is ready, it is time to assemble the Taho with Arnibal and Sago. When Vendors serve this, the first thing they always do is remove the excess water forming at the top of the Soft Tofu curd. After that, they scoop small amounts of Soft Tofu until the cup is full and then top it up with sago. To add the sweet flavor, the arnibal is added in while mixing in the process.